Peace and good luck to near and far away! Ladies and gentlemen, please accept our invitation for sail at Vivaldi´s Sea! Come in summer to Lipno lake and beware of sharks! 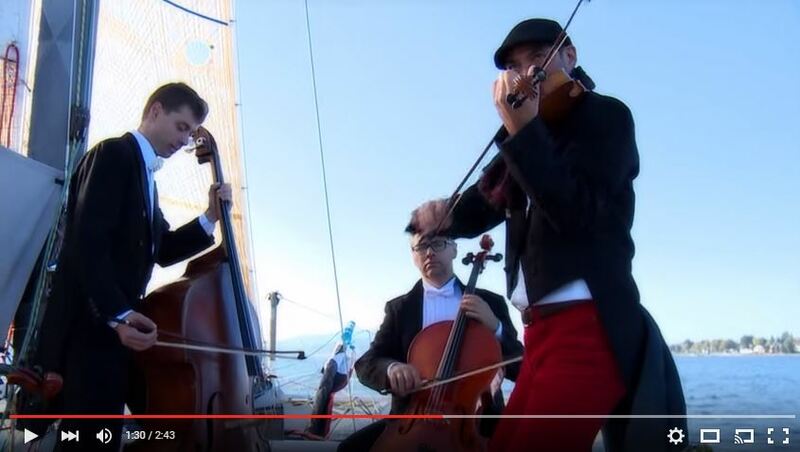 South Bohemian Philharmonic Orchestra jam session on board one of our catamarans. fair winds and the best catamaran sailing in 2013!